A. Professionals who work with schoolage children on their articulation can buy a one time subscription. Login to Speechtree and enter a parent's email. You then specify a speech sound for that parent's child. This sound should be one that the therapist feels comfortable passing to the parent for practice. The parent receives an automatic email with login name and password. Through that account they can print materials that help with home practice of their child's speech sound target. Their account allows access to a new game for speech every Monday. Professionals themselves are notified of the game of the week and have access to the full 52 week loop within their account. The also have access to bonus games and speech sound packets to print for sounds they are working with (intial, medial, final and blends). This will free subscribers from hours of planning and preparation while providing materials for home programs to children on their caseload. Home programs last for a year and so provide children with the opportunity to practice their speech sound between therapist sessions and over the summer months. The therapist can modify a parent account at any time and provide a new speech sound packet when appropriate. Q. What is the difference between the three levels of accounts? Q. When you assign a speech sound for a home program you must choose level 1 or level 2. What is the difference? A. Level 1 speech sound packets have two sheets of cards for a parent to use with the game of the week. The instruction sheet helps them to move from a single word said alone to saying a word at the end of a phrase. Level 2 speech sound packets have the same targets but the materials (which also work with the game of the week) consist of two matrices. To take a turn with any game a child will need to produce two words per sentence. The speech sound packets for the Professional subscriber are pdf bundles that have both Level 1 and Level 2 materials. Q. I noticed that I can also assign some parents a vocabulary account instead of an articulation account. What do these parents receive? A. Parents who are assigned the vocabulary account receive cards for a different vocabulary theme (eg. summer/winter clothing) every Monday through their account. These cards will also work with the game of the week which they also receive. The parents also receive an answer key for the vocabulary covered that has English, Spanish and French labels. This may be a valuable resource for children who are language delayed, hearing impaired, ESL (English as a second language), or who are in French or Spanish immersion programs. Professional subscribers will also receive these materials through their own account. Q. Is the site easy for parents to navigate and understand? A. We provide a short 2 minute video for each game as well as a video to explain how they can use the speech cards they receive with those games. These appear on the page when a parent logs in. Q. Can parents buy their own subscriptions? A. No. 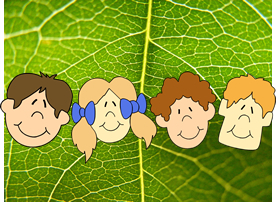 We have designed Speechtree so that parents can help their children under the direction of a professional trained in working on speech skills. Speechtree is not sufficient to replace in any way the services that these professionals provide. Q. How long is the loop? Do new games appear every week forever? A. There are 52 weeks of games. A child who has a home program lasting one year will never see the same game twice. Professionals who have printed the games can use them every year with the parents they see. Q. What day are new games posted? A.For parent accounts on the Monday of each week. Professional subscribers receive the same game the Friday before, but they can also access those games and any other game in the loop through their library at any point.